Many of you know that I was actually trained as a Theoretical Physicist, but somehow found myself going to the Dark Side—Sales. But, I keep going back to my roots in physics, it sometimes helps me understand phenomena we encounter in Sales. The Observer Effect is very important. It states the very act of Observing or Measuring, impacts the thing that we are Observing or Measuring and changes its behaviors in some ways. End of the physics lesson. It turns out the Heisenberg Uncertainty Principle and the Observer Effect are really important in our effectiveness as sales and marketing people. Naturally, we’d like to think that what we do has an impact on the behaviors and actions of our customers. We’d like to think that what we do, say, and how we engage them changes their behaviors. But there are some important subtleties to this process. It means, that what we hear or observe with the customer isn’t really what is being said. That somehow, we put our own filters, biases, experience, and behavioral bias onto what the customer is saying or doing and we may not be accurately understanding what they really mean. As a result, we may respond incorrectly or inappropriately. The easiest way to think of it is this way, there’s a person I used to deal with that I really didn’t like or respect. He felt the same about me. (Don’t worry, it’s none of you—he wouldn’t be caught dead reading this blog.) Whenever he said something, for example, “Black,” I could only hear and see “Red.” My own biases, attitudes, and experiences were so severely impacting me, that I wasn’t really hearing him or what he was really saying–even though, I suspect, much of the time he was saying something very important. Likewise, he was doing the same thing. So while he was a very smart, capable person, we never could agree on things and move forward—and it was largely driven, not by what each of us was saying, but how each of us heard and responded to each other. It’s a horrible example, but dramatically shows how the Observer Effect impacts our effectiveness and ability to get things done with our customers or colleagues. Like physicists, unless we understand and account for the filters (or blinders) we apply in engaging with our customers, we can never really connect with and understand what the customer is really saying. It goes both ways–customers and colleagues have their own Observer Effect, which colors how they hear and respond to us. So now that we understand the impact of the Observer Effect, what do we do about it? The simplest thing is simply to be aware of this, that we have biases, filters, and experiences that color what we hear and observe. As much as we can understand what those are, and “account for them” in the situation, we can more effectively connect and engage our customers. Likewise, understanding the biases, filters, and experiences our customers have and “accounting for them” helps improve the customer’s ability to connect with and engage us. Tools and training on how to listen actively. How to hear what’s really being said–taking ourselves out of it helps us. Understanding behavioral and communications styles—both those of our customers and colleagues, as well as our own, helps us understand the dynamics of the relationship, ho each of us behave and react, and to better account for the Observer Effect. Being present and paying attention in our interactions with customers and colleagues can have a huge impact on reducing the Observer Effect. Distractions, like our devices, or the 10,000 things going on in our minds keep us from really understanding. It turns out, dealing with the Observer Effect, in selling is pretty easy, we just have to be open, mindful, and present. Chuck, great to hear from you! Love the expression! Fantastic, in a probabilistic way!! No two customers can occupy the same quantum state at the same time – in other words 2 customers might look the same, but they only look the same… they aren’t…. assume they are at your peril, despite the fact it might seem to mean less work!!! Awesome addition Martin, thanks so much!! Perhaps in a more focused (beam?!) kind of way, replace ‘customer’ with ‘client contact’… much more ‘operationally’ useful? In the sales profession, the baffling phenomenon of Heisenberg’s Uncertainty Principle and the Observer Effect converge at a Black Hole known as The Sales Forecast. Grey-haired sales veterans may call it The Twilight Zone. When it comes to sales forecasting, the additional forces of Expectations, Performance-to-Budget, Compensation and Recognition impact the process. Understanding quantum mechanics might be easier than forecast mechanics. NOVA, Discovery and Science Channel produce ground-breaking shows to help us understand the mysterious world of sub-atomic physics. Is there a Sales Cosmologist (you Dave?) to help sales professionals understand the external and internal forces that undermine the pseudo-science of forecasting? Is there a Higgs-Boson equivalent to enlighten us on Phorecast Physics? Dave, being a Theoretical Physicist, you’ve probably watched every TV show that I mentioned. Many of them feature MIT Cosmologist, Max Tegmark. “Who are you and what are you doing here?” The stranger replies, “My name is Higgs-Boson. I’m here because you can’t have “mass” without me. I’m sure that most readers didn’t laugh, but Max did. He retold it to his class. I wonder if ’emails / calls from people at the client/own company/3rd party’ is a parallel with the Higgs Field, from whence the phenomenon known as mass comes from. 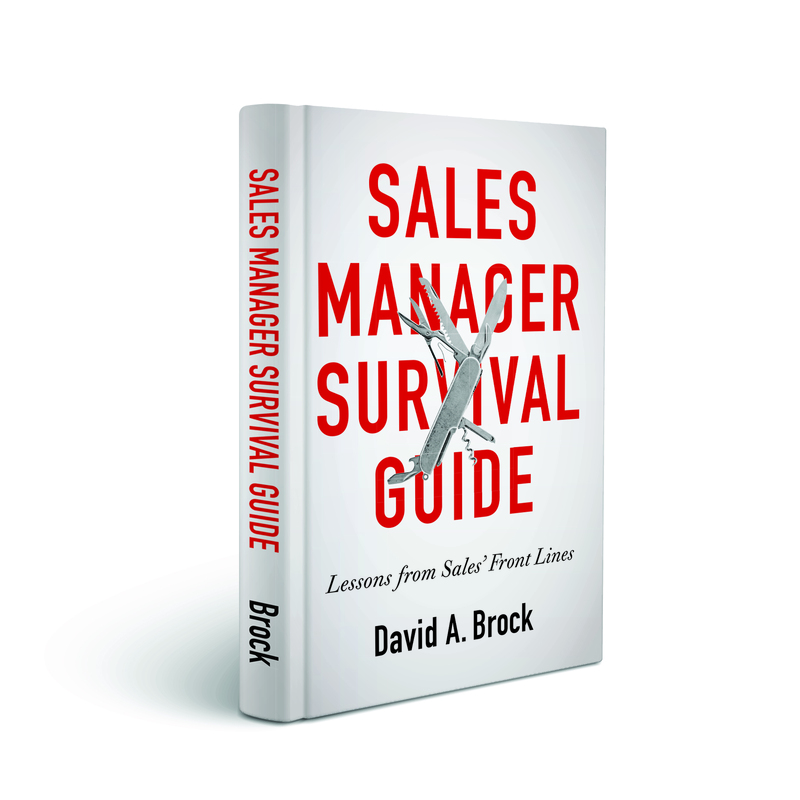 David, I like most seasoned salespeople have had some of the same experiences. Whenever I couldn’t understand a client or deliver a solution I thought was correct I would bring in an “expert”, a manager, rep or technical consultant that didn’t have any direct interest or skin in the game. We would go through the process of what information I needed or wanted to offer. I would make an introduction and excuse myself to take care of an urgent matter in the same facility and leave them to discuss the issue. It’s amazing what information someone that isn’t “emotionally” involved can get out of most of these contacts. Sometimes just having the other person ask leading questions, that answers were already known, would get a response I couldn’t get after repeated requests or attempts. I agree as well of the Black Hole known as forecasting. It works great as long as everything goes as planned, no economical downturn, new competitors come into a market, customers move or change suppliers, etc. Yet we all seem to do similar things every year and still grow and overcome obstacles. But can it usefully escape from a sales forecast?! Thanks for bring up the exceptional value of seeking the opinion of co-workers with no vested interest nor biases on our projects. Adjacent to that is the enormous advantage of a sales opportunity kickout. A long long time ago, I was a sales rookie, we will have a local office ‘town hall’ meeting on the new opportunity. It was an open auction for participation in the project. Support, sales and service people will be there to chime in. The unbiased inputs helped us to kickass in the marketplace. David, thanks for crossing to the Dark side. The sales world needed your insights.